As linguistic and cultural diversity in public schools continues to rise, an increased need for culturally aware teachers is warranted. This chapter informs the development of cultural competencies in teachers by integrating anti-bias education (ABE) goals into teacher preparation. Existing research in preparing teachers to work with diverse student populations tends to focus on how teachers gain appropriate knowledge and practices to work effectively at school. However, there is little evidence that researchers have approached the issue of developing teacher's cultural competencies with the intent of building a cohesive understanding and providing practical tools, such as ABE goals, to positively influence the development of social awareness and self-awareness in teachers and their students. 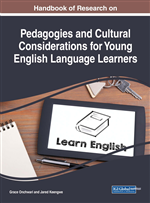 Consequently, the aim of this chapter is to provide empirical evidence to substantiate the instructional importance of understanding the development of teacher's cultural competencies. A continuing rise in linguistic and cultural diversity in school populations has increased the need for anti-bias multicultural teacher education. For many preservice teachers, exposure to anti-bias multicultural curriculum is limited to their personal knowledge, beliefs, and values. American society is multicultural with a rich variety of ethnic and cultural diversity (Izquierdo, Ligons, & Erwin, 1998). In 2012, more than 50 percent of the Texas population represent the minority (38.2 percent Hispanic and 12.3 percent African-American) (Bureau of the Census, 2012). Hispanics became the majority of total public school students in Texas for the first time in the 2010-2011 school year (Ahmed, 2014). According to the report that was written by the Texas Education Agency (TEA) (2014), titled Enrollment in Texas Public Schools 2012-2013, ethnically and culturally diverse populations increasingly attend the state’s public schools (See Figure 1). Murdock (as cited in Ahmed, 2014) projects that by 2050, the number of Texas public school students is expected to swell to 9 million and nearly two-thirds of those students would be Hispanic. The overall percentage of Anglo students would drop by half to about 15 percent (Ahmed, 2014). Anti-Bias Education: Education that seeks to eliminate bias by reducing prejudice, and promoting multiple perspectives. Cultural Competence: Categorical levels of knowledge surrounding the understanding of diversity and the role it plays in teaching and learning. Anti-Bias Multicultural Curriculum: Curriculum designed to foster an inclusive educational environment that welcomes divergent points of view and diverse cultural backgrounds. Teacher Dispositions: The actions, beliefs, characteristics and competencies exuded by teachers which reflect their capacity to be an educator. Multicultural Education: Education that incorporates cultural differences and teaches about equality and social justice. Social-Emotional Learning (SEL): A process of acquiring the competencies to understand and regulate emotions, cope with stressful situations, care about others, build positive relationships, and model prosocial behaviors.